The “Sensors for Robotics: Technologies and European Markets” report has been added to ResearchAndMarkets.com’s offering. The report sizes the European market for sensors for robotics by technology, including sensors within the vision, touch, hearing and movement segments. The top seven application areas are sized, forecast and discussed in-depth. These include agriculture, appliances, automotive, healthcare, industrial, logistics and military. In addition, the overall market and each application area is assessed on country basis, including Germany, Italy, France, Spain, U.K., Central and Eastern Europe (CEE), and Rest of Europe. Estimated values used are based on manufacturers’ total revenues. Projected and forecasted revenue values are in constant U.S. dollars, unadjusted for inflation. Robotics are dependent on sensor technology to allow applications where robotic appliances can relate to the world. Such appliances rely on sensors to detect environmental and internal status. Environmental or external robotic sensors are classified as exteroceptive, reflecting observations of the robotic appliance’s environment and objects in it. Internal robotic sensors are classified as proprioceptive, in that they provide the appliance with “”a sense of self”” or internal state. This is done by measuring values internal to the system such as power availability, component position, and so forth. Sensors are also either active, in that they transfer energy, or passive in that they receive energy. Vision (requiring optical and image processing sensors). Touch (tactile sensors, requiring signal processing for contact detection and interpretation). Hearing (audio sensors and signal processing). Movement (motion and direction sensors with guidance systems). As the technologies to activate these functions evolve, so do the sensors and the capabilities of robotics. For example, enhanced three-dimensional imaging sensors are being used to improve everything from warehouse stocking to surgical support in operations. 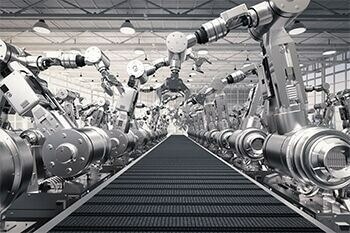 As robotic appliances take on less predictable tasks, moving them away from the assembly line and into other environments, it is crucial that sensors continue to improve their capabilities. On the assembly line, as well, advances in sensory perception have improved safety, accelerating the pace of industrial automation.